Home > Blog > What is the Difference between a Skip Bin & a Mini Skip Bin? What is the Difference between a Skip Bin & a Mini Skip Bin? We have all probably booked a skip bin for hire for rubbish removal at some stage, but there are different sizes and types of skip bins for different occasions and we often get asked the difference between a skip bin and mini skip bin. A mini skip bin is the smallest-sized skip and are quite useful when you just have a small amount of waste or have limited space for skip bin placement. They are quite a cost effective, convenient and environmentally friendly way of waste disposal. What are the dimensions of a mini skip bin? Mini skips are normally available in two sizes: 2-metre skips as well as 3-metre skips. They are the smallest size you can rent a skip for hire but a mini skip bin does actually hold around 25 black bin bags with 3-metre mini skips holding 35-50 big bags. What can you use a mini skip bin for? Mini skip is beneficial for a wide variety of business as well as residential uses such as garden clearances, redecorating, decluttering, office clear outs and even plasterboard rubble. Why should I hire a mini skip bin over a regular sized skip bin? There are three main reasons why you should consider hiring a mini skip bin. Mini skip bin hire prices are cheaper than standard sized skip pricing, because they are small. That’s why they are one of the most cost-efficient waste disposal solutions offered. While many people think a mini skip bin is unnecessary for small amounts of rubbish, it is more environmentally-friendly than throwing rubbish in black bin bags or disposing of the waste in a landfill site and bear in mind they can take up to 50 bin bags which is a lot of back and forth in your car or van. And finally, considering that mini skips are smaller in dimension compared to standard skip bins, they call for a minimum amount of space. Having them is useful specifically when your working area is limited. 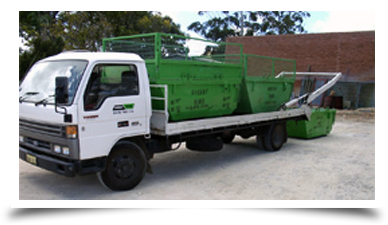 Putting a mini skip bin on your residential or commercial property can even save you the inconvenience of getting skip bin hire council authorisation. If you are looking for a reputable, knowledgable and reliable waste removal company, look no further than Greedy Bins. We pride ourselves on our outstanding levels of service. We are open Monday to Sunday from 7:3 to 5pm and offer 7 day delivery including public holidays. Whether you’re looking to dispose of household, garden, domestic waste and mattress disposal (extra charge applicable) our skip bins will cover you for all your needs. So for the best prices, fast, friendly service and low prices Senior’s Discounts* choose the premier company in waste management Perth; Greedy Bins. if your suburb is not listed please call us, We may still deliver to your area.